The Angel is partly set in an outwardly idyllic English country pub — thatched roof, low beams, flagstoned floors and looking out through its mullioned windows on to the village green with its cricket pitch and duck pond. It’s a slightly idealised amalgam of several pubs I know but all the constituent elements can be found in about half a dozen pubs I know well within about a ten mile radius. 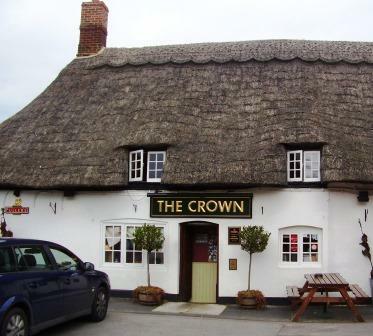 If my descriptions of the pubs are adequate then it may not be too difficult to evoke visual images in readers as most of these pubs have been used several times over for dramas like Inspector Morse and Midsomer Murders. In terms of visual iconography, I was fascinated to discover how the promoters of British Summer Time interpreted the English village pub. This was the series of concerts in Hyde Park which featured the Rolling Stones and Bon Jovi amongst others. 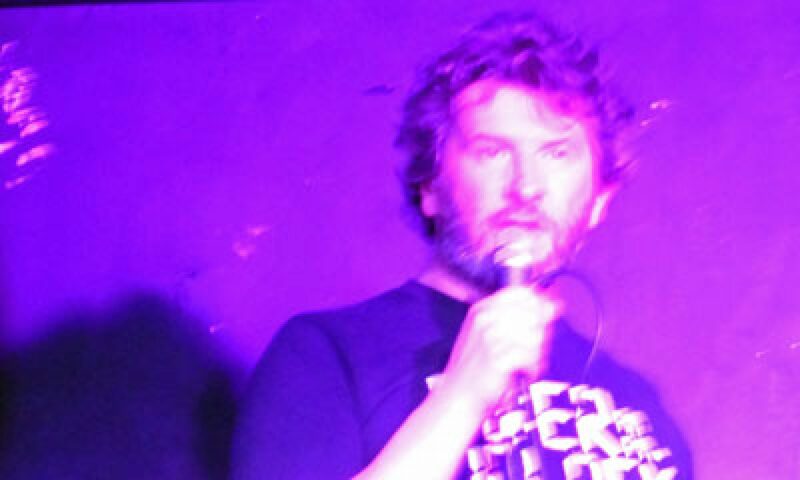 It replaced Hard Rock Calling after the infamous incident last year when the plug was pulled on Bruce Springsteen duetting with Paul McCartney as at 10.30pm they were disturbing the tranquility of Mayfair — on the other side of the six-lane inner-ring road that is Park Lane. I don’t have too much sympathy, having had to endure student house parties with hundreds of ‘guests’, drugged, drunk and very loud at 3am in the morning when living in London myself. Rather than the standard festival back-of-a-trailer bar, British Summer Time had themed areas for its catering and drinks. When I visited last week between concerts (when the British Summer Time compound, for want of a better word, was free to enter) the Spanish themed area was a dusty and deserted assortment of hastily-erected restaurants and bars — so not that different to contemporary Spain in the Euro crisis then? 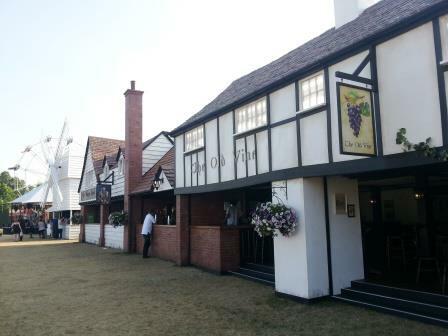 In the Village Green area I found three adjacent ‘pubs’ — the Old Vine, the King’s Head (with Henry VIII naturally on the sign) and the Windmil . 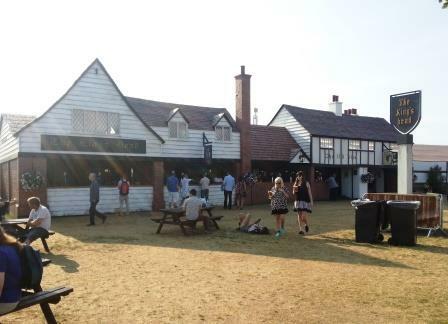 Given that these catering outlets, oops, I mean pubs were operational for only nine days and had been constructed on a patch of grass in the middle of Hyde Park then historical authenticity was a little too much to ask for. I was fairly impressed with the way the architectural styles had been repesented, particularly the Windmill, which was quite imaginative and stresses the historical link between windmills and pubs. 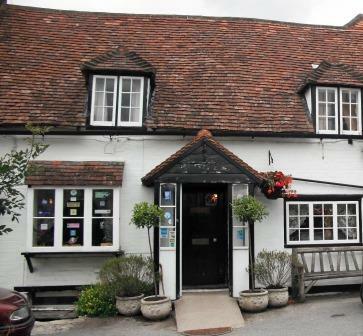 If you want to experience the inns of Tolkien’s Shire then visit the Pheasant in Brill, Buckinghamshire while we still have light nights. The village was apparently the model for Bree — it’s not too far from Oxford — and has a marvelously restored windmill by the pub on the top of the hill. 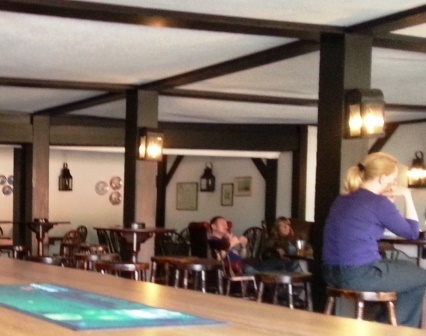 The interior of the King’s Head looked pretty authentic — despite being a prefabricated box its fixtures and fittings and decor were surprisingly genuine. What wasn’t usual was the way the ‘pubs’ served from a bar on their exterior walls. Occasionally some pubs do this in the summer — the White Cross in Richmond used to. However, the demands of serving 60,000 people in an interval are probably not quite the same as the village local at tea-time in a cricket match. 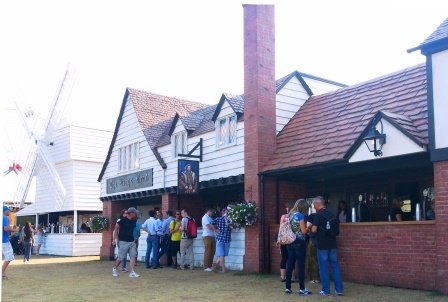 And sadly, while the ‘pubs’ made efforts to be surprisingly authentic in appearance, they didn’t serve the traditional drink of the British pub — cask-conditioned real ale — at least not in its most genuine form. There was Fuller’s London Pride and Theakston’s Bitter plus Seafarer on offer but I’m fairly sure it was pasteurised — although it was served at a appropriately cool temperature unlike some genuine pubs try to get away with in this weather with real ale — which tastes ghastly if warm. But at £5.50 a pint the pricing strategy of these pubs was only suited to the sort of captive market that spends hundred on tickets for the Rolling Stones. Having had our wallets lightened somewhat I moved on with my drinking companions to the slightly more gritty reality of the Carpenters Arms on Seymour Place. It’s probably too late to get on to CAMRA head office about the closure of three adjacent pubs in Central London. While we can’t really complain about the demolition of the King’s Head, Old Vine and Windmill — I noted the lorries in there this week removing all trace of their presence — but their appearance was culturally reassuring, if a little personally expensive.